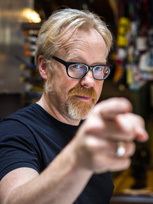 Adam Savage is best known for his work in Sci-Fi movies and his role in MythBusters. Adam Savage has spent his life gathering skills that allow him to take what’s in his mind and make it real. Adam is a maker, a dreamer, a cinephile, a craftsman and a tireless advocate for getting one’s hands dirty. He has multiple hobbies and is passionate about restoring his vintage four-wheel drive vehicle, and researching and accruing new pieces for his movie prop collection. But his true love is his family. He lives with his wife, twin boys, and their two amazing dogs. 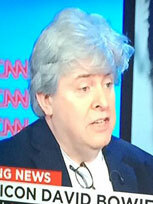 Andreas Ekström is a Swedish journalist. His best-selling book about Google and his TED talk, with well over one million views, has made him one of Europe's most sought-after digital futurists. 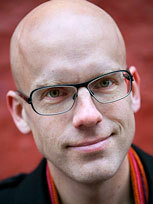 Andreas Ekström is a senior staff writer at Sydsvenskan, a major Swedish daily paper, and an author of six books. 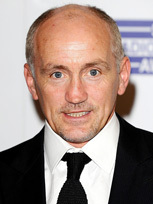 Barry McGuigan, also nicknamed The Clones Cyclone, is a retired Irish professional boxer. For almost 20 years, Barry McGuigan has been commentating and writing on boxing and has developed into one of the leading figures of the sport. 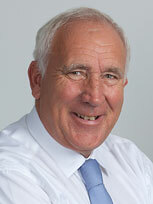 Barry Mizen MBE and his wife, Margaret, founded For Jimmy. Jimmy Mizen was killed in a random act of violence in a southeast London bakery the day after his 16th birthday in 2008. Barry and his wife, Margaret, have become prominent and vocal campaigners for peace within our communities. Barry and Margaret were recognised in the New Year Honours list for the charitable work they have done since their son was killed in 2008. 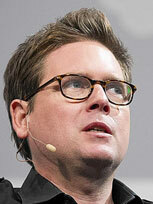 Biz Stone is best known for co-founding Twitter. Biz Stone is a co-founder of Twitter, Inc. and also helped to create and launch Xanga, Odeo, The Obvious Corporation and Medium. 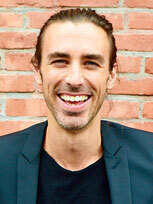 In 2012, Stone co-founded a start-up called Jelly Industries where he serves as CEO. 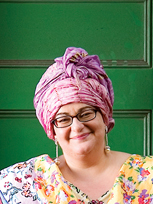 Camila Batmanghelidjh is best known for leading a major children's charity while rocking a multicoloured Turban. As founder of two leading children's charities, the Place 2 Be and the now defunct Kids Company. Place 2 Be is continuing to deliver services and Kids Company closed "following false sexual abuse allegations, which were taken to the media. The police investigated, and found no crime had been committed. They stated they "found no fault with Kids Company's safeguarding of children and vulnerable adults". Camilla continues her pioneering work in collaboration with several charities and her new book 'Kids' also a collaboration will be out soon. 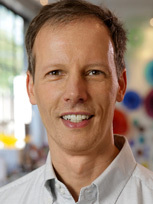 Chris Griffiths is the CEO of OpenGenius, the company behind ThinkBuzan, creators of Mind Mapping tool, iMindMap and Think Productivity, creators of visual task management app, DropTask. 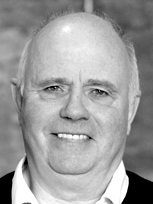 Chris Griffiths is a world-renowned expert on creativity and innovative thinking skills and shares his expertise and insights in a number of best-selling books and through his work as a business consultant and universal public speaker. Dara O'Briain is internationally renowned for his quick wit and silver-tongued comic delivery as a stand-up comic and host of Mock The Week. 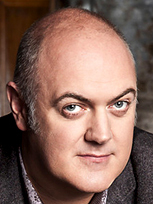 Dara O'Briain has built up a reputation and prestige as being one of the finest comedians in the world. 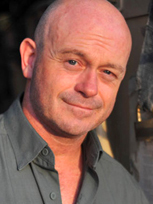 His quick wit and silver-tongue has been the regular host of hit TV show 'Mock The Week', as well as being a guest presenter on 'Have I Got News For You'. Dara also hosts Ireland's popular show RTE 2's The Panel, becoming one of very few actors to successfully and simultaneously host shows in the UK and Ireland. Dara's role has recently gone beyond comedy, implementing his degree in mathematics and theoretical physics by co-hosting Stargazing Live with Brian Cox, and a host of other science-based shows including 'School of Hard Sums'. 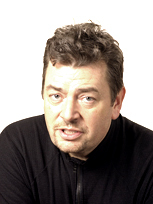 David Aaronovitch is one of the best-known journalists and current affairs broadcasters in the UK, winning awards for political journalism and being named 'Columnist of the Year' by What The Papers Say. David’s fascination with some of the more arcane aspects of public life and debate led to the Voodoo Histories book on the impact of conspiracy theories. 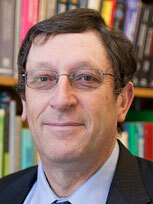 David Blanchflower is a leading Labour economist, currently a tenured economics professor at Dartmouth College. David Blanchflower is a former member of the Bank of England’s Monetary Policy Committee and most notably was the first influential person within UK banking to raise the alarm about the credit crunch. 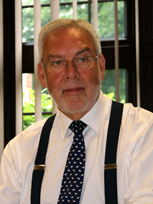 David Blunkett's life and political career has been one of the most colourful and controversial in recent British history. 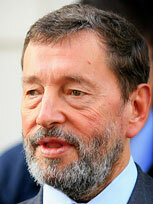 Lord Blunkett has served in public life for over 40 years. 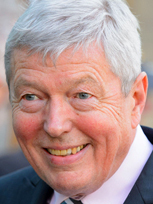 From Leader of England’s fourth largest city to Home Secretary at the time of 9/11 he has taken on some of the most challenging roles in politics. Few senior politicians have experienced quite so many ups and downs, and none have achieved high office having been blind since birth. 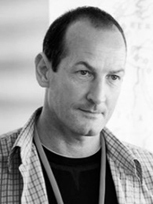 David Rowan is editor-in-chief of WIRED magazine’s UK edition. David Rowan is the editor of WIRED UK and has spent time with the founders of WhatApp, LinkedIn, BuzzFeed and Spotify to name just a few. 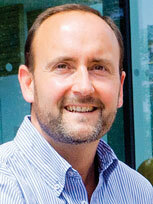 Rowan has taken 120 flights in the past year speaking on technology, business and innovation themes across the globes. 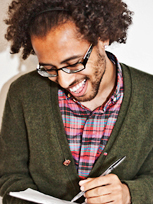 Dean Atta is best known for being a writer and performance poet. He won the 2012 London Poetry Award and was named as one of the most influential LGBT people by the Independent on Sunday Pink List 2012. 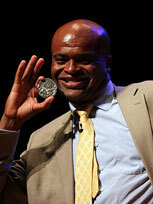 Award winning inspirational Poet and Spoken Word Educator. Dean is both charismatic and reflective in his writing and delivery. Available for keynotes, readings, workshops and Masterclasses on a range of creative, artistic and LGBT briefs. Atta's debut poetry collection was shortlisted for the Polari First Book Prize 2014 sponsored by Société General UK LGBT Network. 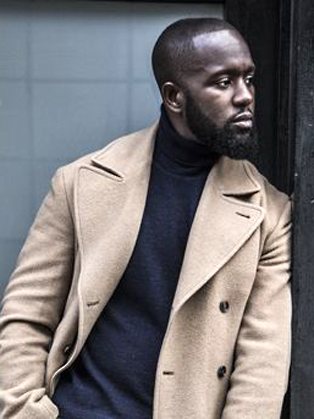 Dumi Oburota is the Nigerian-British entrepreneur credited for engineering Patrick Okogwu AKA Tinie Tempah's rise to stardom. He is also attributed to being behind strong acts like WizKid and asides music, he boasts a clothing label under his "Disturbing London" company. Now he is on a mission to make Disturbing London "a stamp of coolness for millennial, urban culture". Ed Balls is a British Labour Party politician. 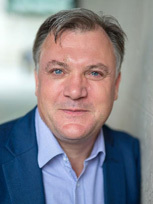 Ed Balls is Senior Fellow at the Harvard Kennedy School, Visiting Professor to the Policy Institute at King’s College London and Chairman of Norwich City Football Club. Jean-Christophe is a nationally adored and world-class chef. Jean-Christophe was born in France where he left school at the age of 14 to become a baker. From there, Jean-Christophe has excelled to the top of the culinary world. Becoming a professional chef at the age of 20, winning his first 2 Michelin stars as Chef Patron at the Gordleton Mill. Jean-Christophe now owns restaurants all around the world, and has opened his own cookery school to pass on his gift to others. Katie is one of the most inspirational women in the UK. Having rebuilt her life following an acid attack in 2008, model and now successful TV presenter, has also set up a foundation to support people with burns and other disfigurements. 'People can attack you, but no one can touch your soul' Katie Piper. Best known for helping small businesses grow their sales rapidly. 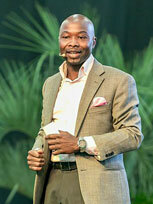 Mac Attram is the CEO of Mac Attram Group and is a multi-award winning Investor, Mentor, Incubator, Educator and Author. He has been featured as an expert advisor across a string of media platforms, including Sky TV, The Guardian, Forbes, The Huffington Post, VOX Africa & Real Business Magazine. 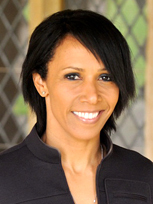 Maggie Aderin-Pocock is best known as an English space scientist and co-presenter of the programme The Sky at Night. 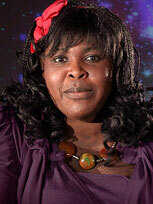 Maggie Aderin-Pocock is an English space scientist. 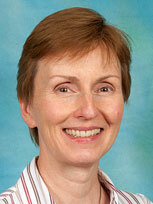 She is a research fellow in UCL Department of Science and Technology Studies. 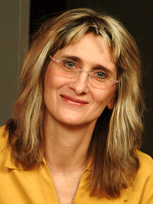 Since 2014, she has co-presented the long running astronomy TV programme The Sky at Night. 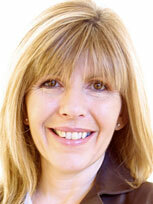 Maggie Philbin OBE is a broadcaster and CEO of TeenTech. Maggie Philbin OBE has worked in radio and television for over 30 years on a wide range of science, medical and technology programmes. 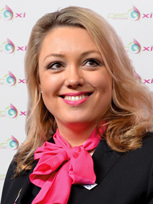 She is President of the Institute of Engineering Designers and co-founder and CEO of TeenTech CIC, an award winning organisation helping young people, their parents and teachers understand more about the real opportunities in Science,e Technology and Engineering. She is a popular and entertaining speaker at conferences and award ceremonies, bringing a unique and insightful perspective on technology, diversity and innovation. Margaret Mizen MBE together with her husband Barry, founded For Jimmy. 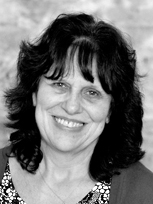 Margaret Mizen came to national attention in 2008 when her 16-year-old son Jimmy was murdered in south-east London. In the immediate aftermath, Margaret spoke of compassion for his killer rather than revenge and promised not to be beaten by Jimmy’s death, believing that something good would come from it. Martina Navratilova, tennis player extraordinaire, took women's tennis to a new level with her speed, determination and agility. 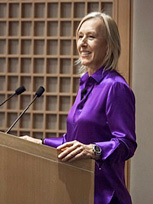 Martina Navratilova won the Wimbledon women's singles title a record nine times and has been described by many as "the greatest singles, doubles, and mixed doubles player who's ever lived". In all, Martina has won 18 Grand Slam singles titles, 31 Grand Slam women's doubles titles (an all-time record), and 10 Grand Slam mixed doubles titles. Morgan Spurlock is a documentary filmmaker, humorist, television producer, screenwriter, and political activist, best known for the documentary films “Super Size” Me and “This Is Us”. 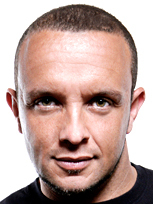 Spurlock was the executive producer and star of the reality television series “30 Days”. 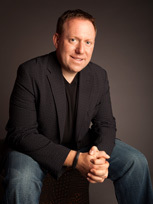 As of June 2013, Spurlock hosts and produces the CNN show “Inside Man” and is the co-founder of short-film content marketing company cinelan, which produced the Focus Forward campaign for GE. 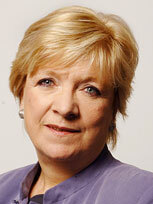 Polly Toynbee is a British journalist and writer, and has been a columnist for The Guardian newspaper since 1998. Polly Toynbee is a columnist for The Guardian. 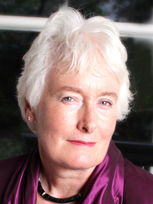 She was formerly BBC social affairs editor, columnist and associate editor of the Independent, co-editor of the Washington Monthly and a reporter and feature writer for the Observer. Lord Winston is Professor of Science and Society and Emeritus Professor of Fertility Studies at Imperial College London. A pioneering career in the study of fertility, pregnancy and conception, genetics, children and development and music. 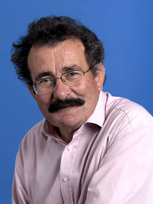 Prof. Lord Robert Winston is famous for his enormous work on gynaecology and fertility. 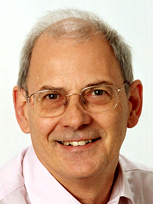 He has written books on fertility, pregnancy and conception. He is best known on television for his pioneering series ‘Child of Our Time’ and is Patron of child bereavement charity Winston’s Wish. Dragons Den success Richard Enion is a 'Motivational Lifestyle Expert' in the UK and US, and is currently co-authoring the book 'F**k Dieting' with Ryan Seacrest’s personal trainer (And he beat cancer). Following their successful pitch in the BBC’s Dragons Den, Richard decided to turn down the deal and move on to bigger missions. 6 years World travel focused on researching and interviewing World experts for Enrichd.org has grown into the book he is co-authoring with fellow celeb trainer in Hollywood. Just before pitching in the BBC’s Dragons' Den, Rich was on the operating table having a tumor removed from his left shoulder - oh and the BBC said ’no’ for a week before they did the shoot - overcoming adversity, motivation and making it happen is this mans' game! 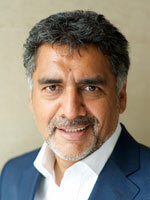 Richard is best known for his writings and speeches on the future of lawyers, the courts, and the professions. 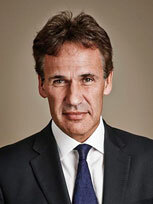 Professor Richard Susskind OBE is an author, speaker, and independent adviser to international professional firms and national governments. 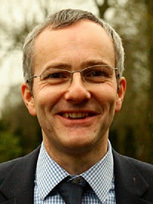 He has advised on numerous government inquiries and, since 1998, has been IT Adviser to the Lord Chief Justice of England. His main area of expertise is the future of professional service and, in particular, the way in which the IT and the Internet are changing the work of lawyers. 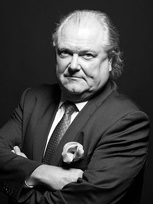 He has worked on legal technology for over 30 years. 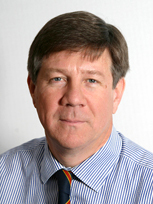 He has written and edited numerous books, including Expert Systems in Law, Tomorrow’s Lawyers, and has written around 150 columns for The Times. His work has been translated into 10 languages and the latest book The Future of the Professions is co-authored with his son Daniel Susskind. 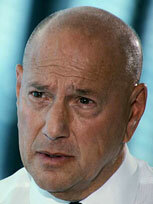 Roger Martin-Fagg is an economist turned strategist. 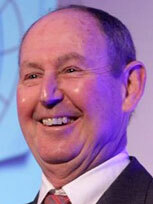 Roger Martin-Fagg is an economist who combines insight into the financial and policy worlds with management strategy. EMMY winning documentary 'My Autism and Me' although this may be surpassed by her TEDMED speech delivered in Washington USA. 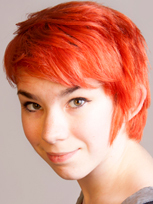 BBC Presenter, illustrator and public speaker, Rosie King has achieved great things at the tender age of 16. She diagnosed her own Asperger's Syndrome at the age of nine (a diagnosis that was later confirmed by specialists) and dedicated her considerable talents to raising positive awareness about autism. With a younger brother and sister severely affected by the condition, this has always been a subject close to Rosie's heart. 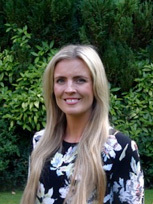 She is a young ambassador for the National Autistic Society, and has worked closely with professionals to improve the quality of education for young people with additional needs in mainstream school. After speaking about her condition and the way that it effects her at the TEDMED convention in Washington DC 2014, Rosie received a standing ovation. 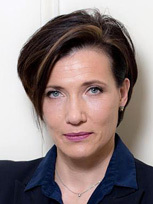 Tanya Byron is a British psychologist, writer and media personality. 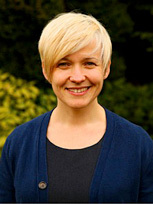 Tanya Byron is best known for her work as a child therapist and specialises in emotional resilience in both young people and adults.